The great evolutionary smoke out: An advantage for modern humans over Neandertals? A genetic mutation may have helped modern humans adapt to smoke exposure from fires and perhaps sparked an evolutionary advantage over Neandertals, according to a team of Penn State researchers. In the early online edition of Molecular Biology and Evolution, authors Gary Perdew et al., have identified a mutation solely found in modern humans that could have increased their tolerance to a toxic spew of chemicals generated by smoke and fire. The researchers have suggested that a difference in the aryl hydrocarbon receptor, which regulates the body’s response to polycyclic aromatic hydrocarbons, may have made humans more desensitized to certain smoke toxins—and offered ancient humans a sweet spot in effectively processing some of these toxins — such as dioxins and polycyclic aromatic hydrocarbons — compared to other hominids. 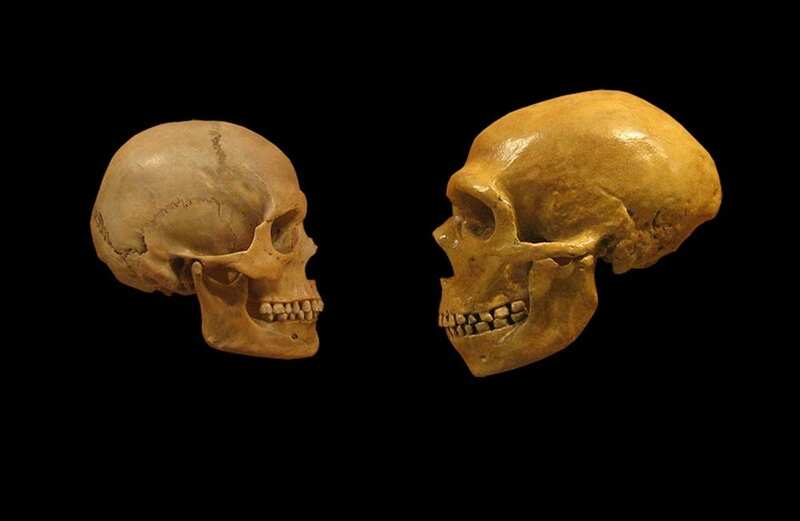 The researchers examined the difference in the genetics of polycyclic aromatic hydrocarbon tolerance between humans and Neandertals by comparing genomic data from humans, Neandertals and a Denisovan, another hominid more closely related to Neandertals than humans. And there is evidence that both humans and Neandertals used fire, according to George Perry, assistant professor of anthropology and biology, Penn State, who worked with Perdew. “Our hominin ancestors — they would technically not be called humans at that time — were likely using fire at least a million years ago, and some infer an earlier control and use of fire approximately 2 million years ago,” said Perry. “Besides heating and cooking, humans used — and still use — fire for landscape burning and as part of hunting and gathering, and now as part of agriculture,” said Perry. The study may also lend support to a recent theory that the invention of cooking may have helped humans thrive, according to Perdew. He also suggested that the receptor might give humans a better tolerance for cigarette smoke, allowing people to smoke, but also putting them at risk of cancer and other chronic diseases. “Our tolerance has allowed us to pick up bad habits,” Perdew said.